Today, we will introduce in detail the relevant elements of the use of PVC lay flat hose. Let’s take a look at them together. PVC lay flat hose manufacturers remind us that in the use process, we must pay attention to the carrier, such as water, air, oil, powder, particles, toxic chemicals and other substances. If the turning radius of PVC lay flat hose is too small, it will cause the breakage of PVC lay flat hose and reduce the service life of PVC lay flat hose. 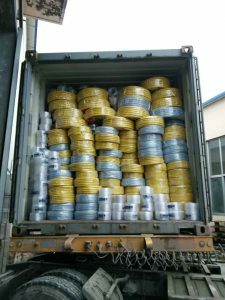 When conveying powder and particles, the bending radius of PVC lay flat hose should be enlarged as far as possible according to the site conditions and actual conditions; when matching with metal joints, it should not be used in extreme bending state. PVC lay flat hose must be used in suitable temperature and marked range. 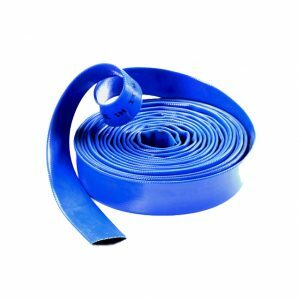 PVC lay flat hose expands and shrinks with its internal pressure and temperature. Before use, please cut the PVC lay flat hose into a slightly longer length than the required length. In the process of pressure bearing, it is necessary to select PVC lay flat hose reasonably according to the different use conditions. This is our introduction about the use of PVC lay flat hose today. If you need to know more, please contact us.